Please check the application notes and references to samples of work (what to send) below. Don’t want to apply online? You can download and print an application form. Members whose subscription has lapsed for over 5 years must re-apply as ‘New’ members. Where your work has been used? (e.g Publications, websites, corporate clients) Provide links to examples if possible. Anyone who is selling their work, full-time or part-time, for commercial publication, print and/or digital. Anyone working in the field of live caricature. Anyone selling their work on a regular basis for private commission. 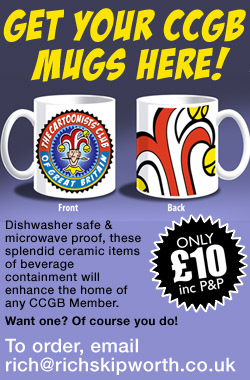 This would be particularly appropriate for caricaturists with a a record of sales to the private and business sector. Aspiring cartoonists who have yet to sell their work but who, in the opinion of the committee, show a potential for doing so. Anyone involved with the peripherals of the business: editors, agents, gallery owners, etc. 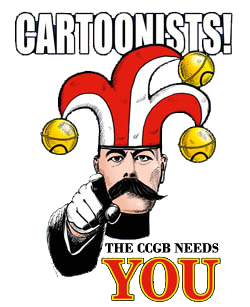 Anyone supporting cartoonists and/or the business of cartooning through active patronage. Examples of commissioned, published or printed works. Screen shots of media animations etc. Addresses of any websites where your work may be seen. Photos of yourself at work. Example of bookings over the previous two years. PLEASE NOTE: Successful applications are entirely at the discretion of the committee. In the case an of unsuccessful application, the committee will provide a reason for its decision and, if applicable, offer advice as to how to address any issues which influenced that decision.